Great skiddy fash driving game. Race round tracks, defeating opponents to unlock further tracks. But that's just the beginning. This game is about getting high scores. Anyone can win a race, but can you do it in style? Get points for hitting things, destroying things, and skidding. Drift through groups of objects for big score multipliers (and lots of fun). Collect coins to upgrade your vehicle in the shop. The game keeps track of your best times and total scores etc. 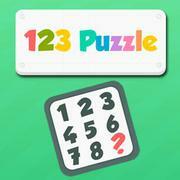 You build up your high score by totalling all your scores on each level. The mute button is in the pause menu &#8211; the pause button in the top right corner of the game screen.